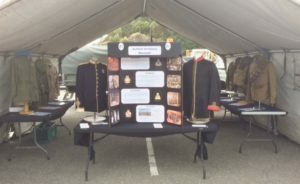 When invited or the opportunity presents the museum will design event specific or general displays to take the museum to the people. 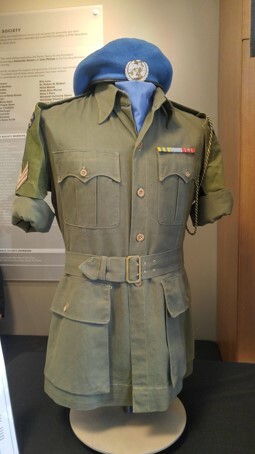 Display, when possible, are designed to be interactive to provide visitors with both a visual and physical experience. 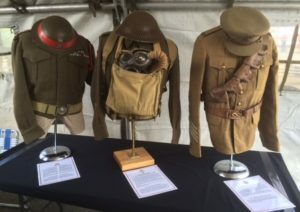 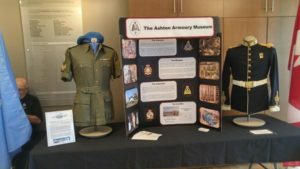 The display was designed to introduce visitor to the Canadian Army and provide an insight into “What They Wore and the Weapons They Carried” from pre-WW I to Afghanistan. The Introduction to the Ashton Armoury Museum display included a circa 1900 Canadian Army Service Corps officer’s ceremonial tunic and a circa 1850 Regimental Surgeon’s (TBC) frock coat. 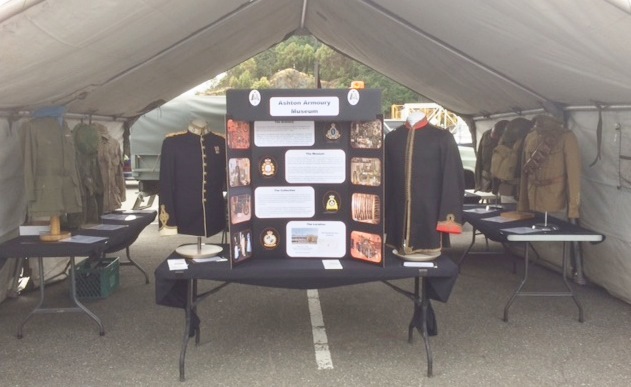 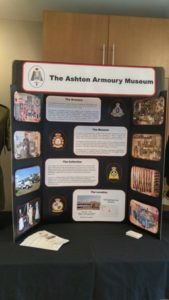 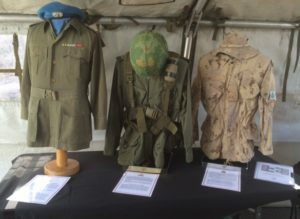 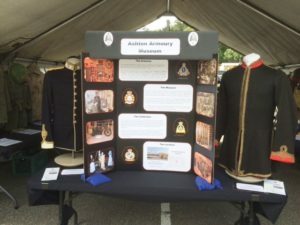 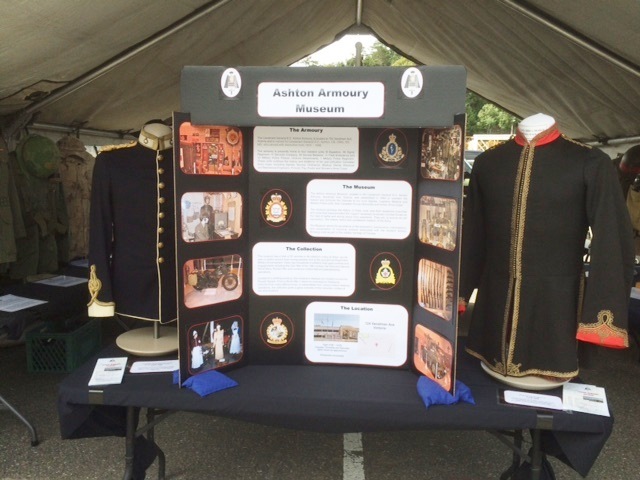 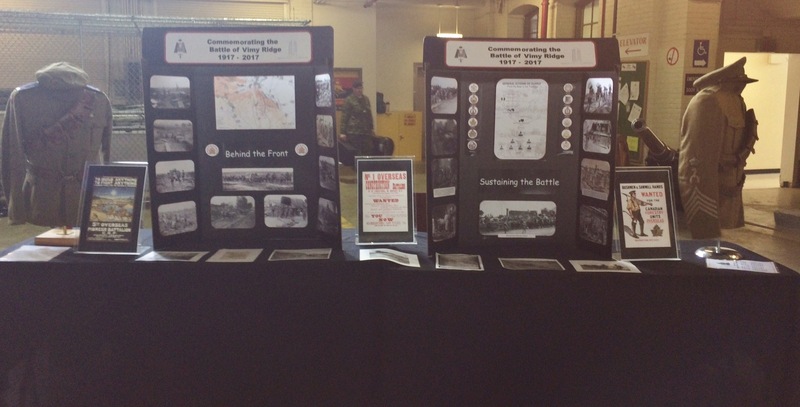 Ashton Armoury Museum display in a two section TEMS tent. L-R 1948 Pattern Battle Dress Blouse and CLC Helmet; 1939 Patter Battle Dress Blouse, Webbing with Gas Mask Bag and Helmet; and 1903 Pattern Service Dress, Cloth Cap, Leather Belt and Bandoleer. 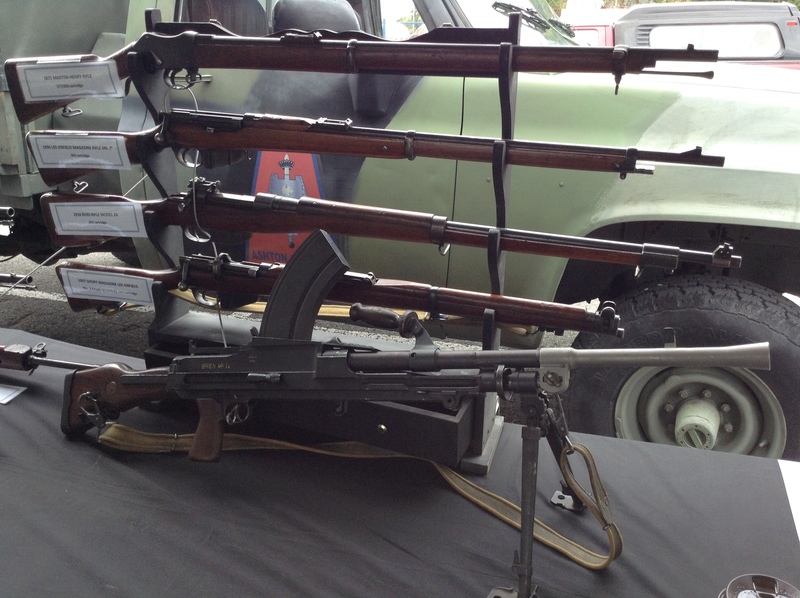 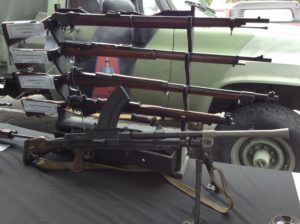 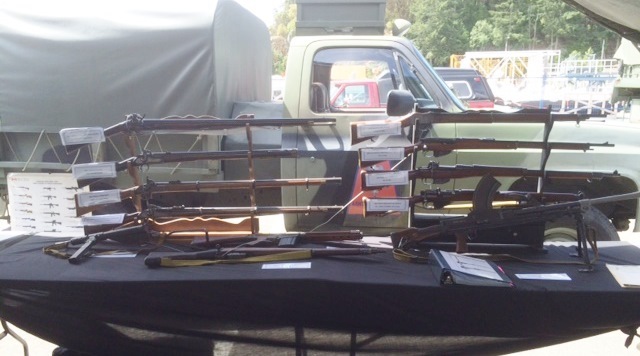 A close look at some of the weapons on display.